The Bud blankout device, double is used for extracting cone shaped buds of a potato tuber for plantation in the greenhouse. 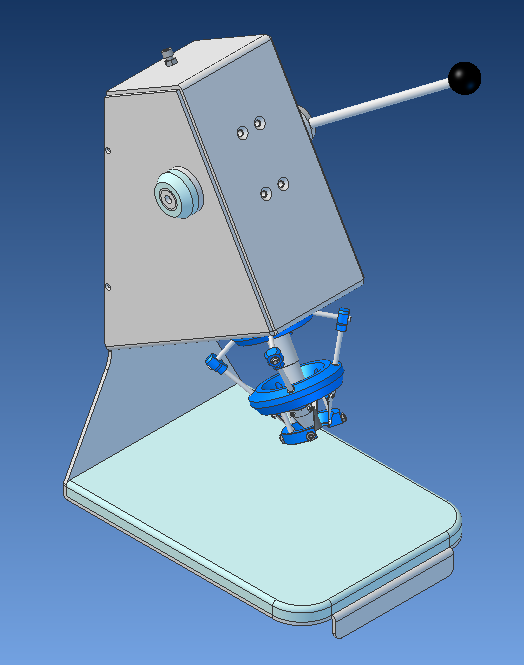 It consists of a stainless steel stand, two cutting-heads, mechanic with foot-pedal, and collecting basin for the buds. The device is operated by one person and enables cutting out two buds simultaneously. The Bud blankout device, single is used for extracting a cone shaped bud of a potato tuber for plantation in the greenhouse. It consists of a stainless steel stand, one cutting-head and a one hand lever, mountable on the left or the right side. The leverposition is variable. The device is operated by one person and enables cutting out one bud. The device has three slowly rotating stoning cones. When pressing half of a potato berry on the cone, fruit-flesh and seed are separated from the skin and flow down the slanting to a twofold sieve. The flow of fruit-flesh and seed is enhanced by means of a rinsing nozzle that sprays water on the slanting. 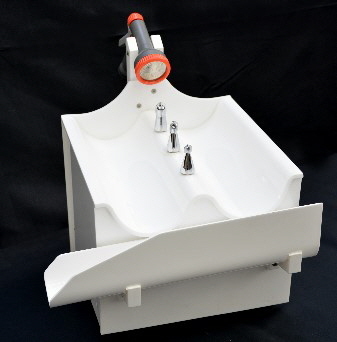 The rinsing nozzle is detachable and may as well be used for rinsing the sieves. The coarser parts of fruit-flesh will be held back by the upper sieve while the seed is rinsed through the lower sieve on to filter paper.